Um, yes? You know, to get the Dad perspective! His ‘Thor’ post was very popular and received the most comments the blog has ever received! So after much begging and pleading and promising of foot rubs that I most likely will never deliver on, he agreed to do another guest post for me. Yay! This is my best friend’s Hello Kitty SUPER AMAZING HUMIDIFIER. Discuss. Ok, Andrew here. Let’s just move on. Here’s a little quiz to help you with your comprehension. Imagine your wife walks into the room. She looks upset. ANSWER: Trick question! You should already have known what was the matter (through some kind of psychic power, I guess). By asking her, you have only proven your emotional ignorance. But enough about my beautiful, sweet, loving wife. This is supposed to be Father’s Day Week on the blog, so I should talk about some fatherly stuff. To be completely honest, Melissa does the lion’s share of the parenting around here. She does reap the rewards of her special relationship with Julia, however. For example, the other day Julia came into my office and gave me a big hug, saying “I love you, daddy.” She paused for a second, thinking, then added, “I love mommy more, but I still like you a lot.” I get a fair amount of that. Query from Melissa: Am I brandishing a WEAPON of some kind?? All is not lost, however. You see, Julia knows that Daddy is good for at least one thing – video games! 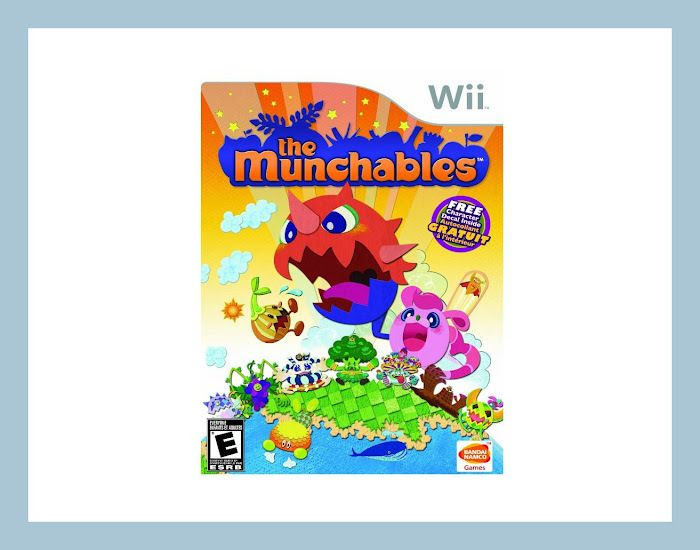 Out of all our video games, Julia’s favorite is almost certainly ‘The Munchables’. The home planet of the Munchables has been invaded by a race of evil Space Pirates, who are also confusingly called “Tabemon Monsters”. And they’re vegetables. The game basically makes no sense. The boss pirates at the end of each stage are Julia’s favorite part of the game. She can tell you all about Brocco-Lee, Great Grapy, Don Onion, and the rest. The thing about this game is…it’s not very good. But the goofiness of the plot makes up for a lot of it. And Julia loves it, which is the real point. Ok, since this blog is supposed be about children’s books (at least, I thought it was) NOTE FROM MODERATOR: WE ALSO DISCUSS GAMES!, I should at least mention a book in passing. Some of my very favorite children’s books of all time are the ‘Frog and Toad’ books by Arnold Lobel. Unfortunately I would need at least a week’s worth of posts to do them justice. 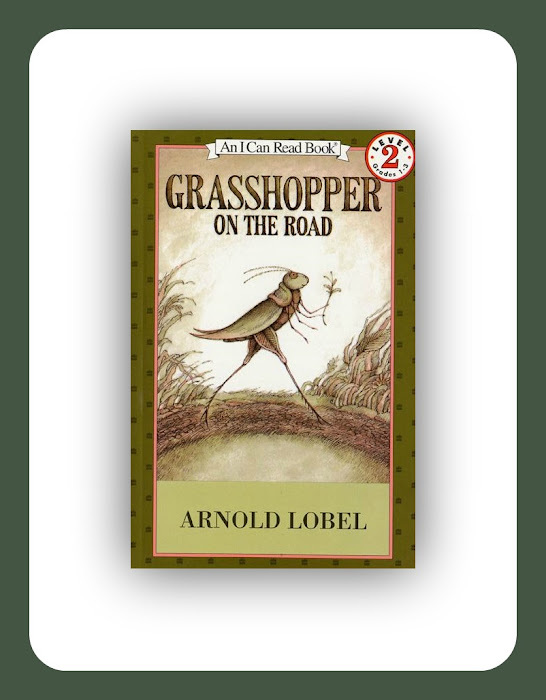 Luckily for us, Lobel wrote a number of other books, so let’s talk about ‘Grasshopper on the Road’. Like many of his books, it’s structured as a loosely connected series of mini-stories. Basically, Grasshopper goes walking along the road and encounters various characters and adventures along the way. That’s some deep @*%# right there, folks. Daddy this... Daddy that... Daddy... Daddy! But the all-time best daddy book is Will Smith's Just the Two. You can see now that there is something seriously wacky about my family!! !